These cute little balls of tangled Christmas tree lights are a really cute and unique goodie for the holidays! They are great for serving at a holiday party and also package up nicely for gift giving. 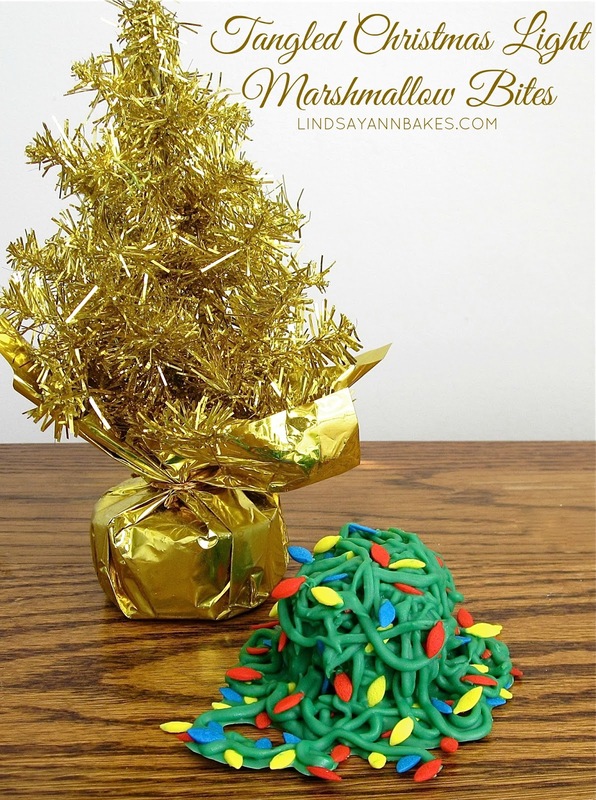 All you need are some marshmallows, green candy coating and some colored sprinkles and you have a fun and festive treat that everyone will love. Melt green candy melts according to package. Coat marshmallows in candy coating and place onto wax paper. Place in the freezer for a few minutes to dry and set. Remove from freezer once candy coating has hardened. Spoon the remaining candy melts into a plastic decorating bag or sandwich bag. 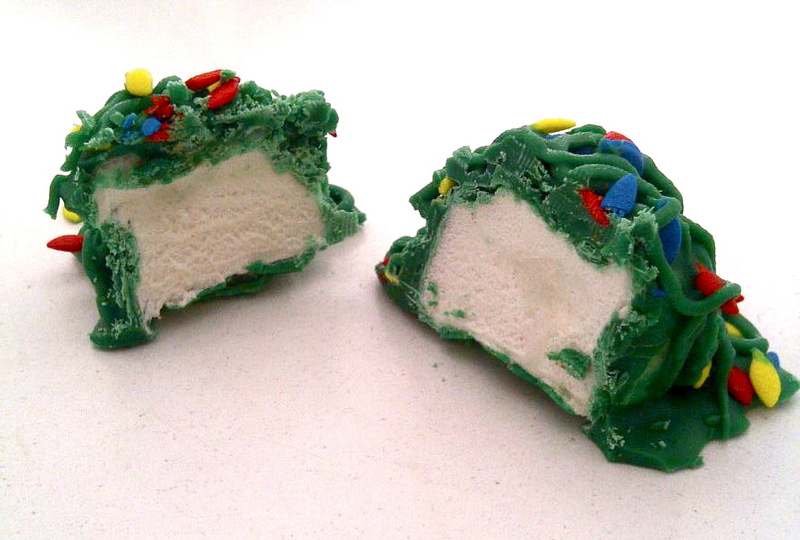 Snip off the corner and squeeze a steady string of candy coating on top of coated marshmallow, covering top and sides. 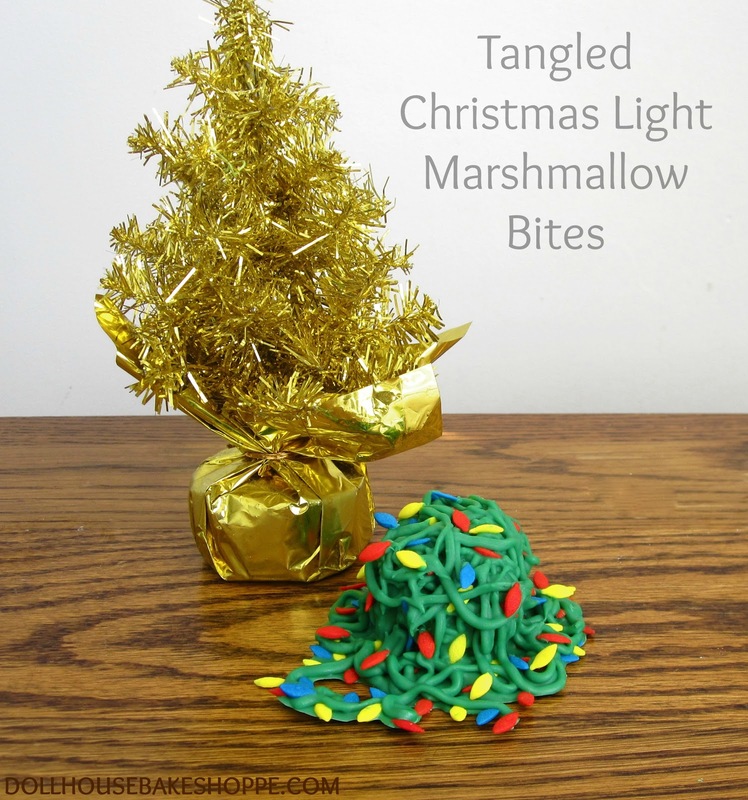 Squeeze a string of candy coating off the marshmallow on to the wax paper to resemble a messy pile of tangled string. Add colored sprinkles for the lights before candy coating had dried. 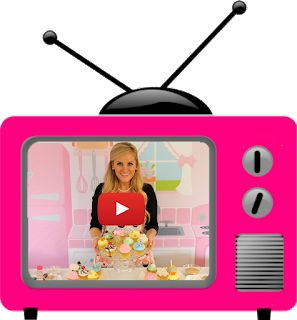 Place in the freezer to dry and set candy coating. Once hardened, remove from freezer and store at room temperature in a cool dry place. Package individually in plastic baggies for gift giving, or display them as place settings or on a platter for a great holiday party treat!